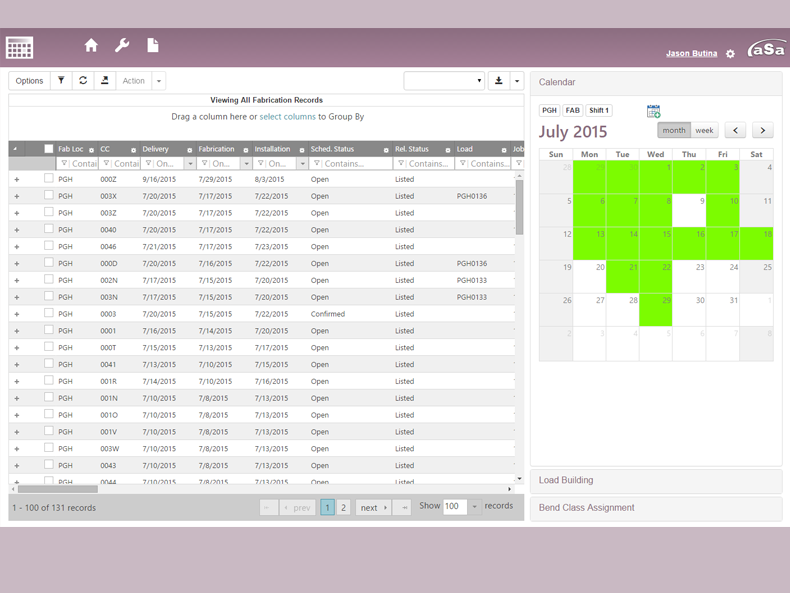 aSa Scheduling is an on-screen planning tool that takes the headache out of managing your workflow. The system’s powerful calendar interface and comprehensive reports are designed to keep your customers’ orders on track and on time. 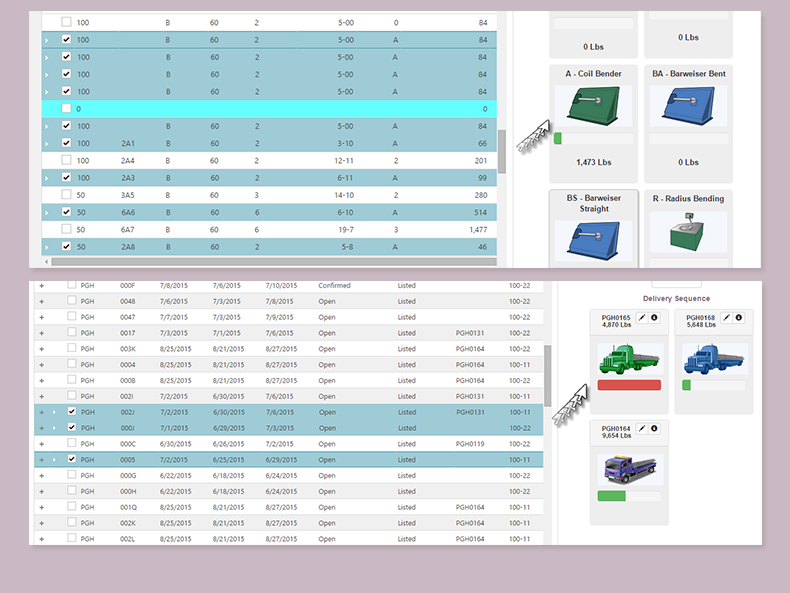 Material breakdowns by bar size and bending classification give you a snapshot of what machinery will be used in a given day, helping you to make decisions about manpower and equipment assignment. In addition to assigning fabrication and delivery dates, aSa Scheduling lets you specify which orders are to be shipped on which trailers, reducing the chance of shop and delivery errors. Based on shop-specific capacities that you define, each scheduled date is color-coded according to whether you are below, at, or over capacity. aSa lets you do all of your scheduling on the computer with easy drag-and-drop tools, allowing the schedule to be viewed from any computer in your office. The ability to exceed your customers’ expectations and keep your shop running smoothly hinges on effective scheduling of material production and delivery. 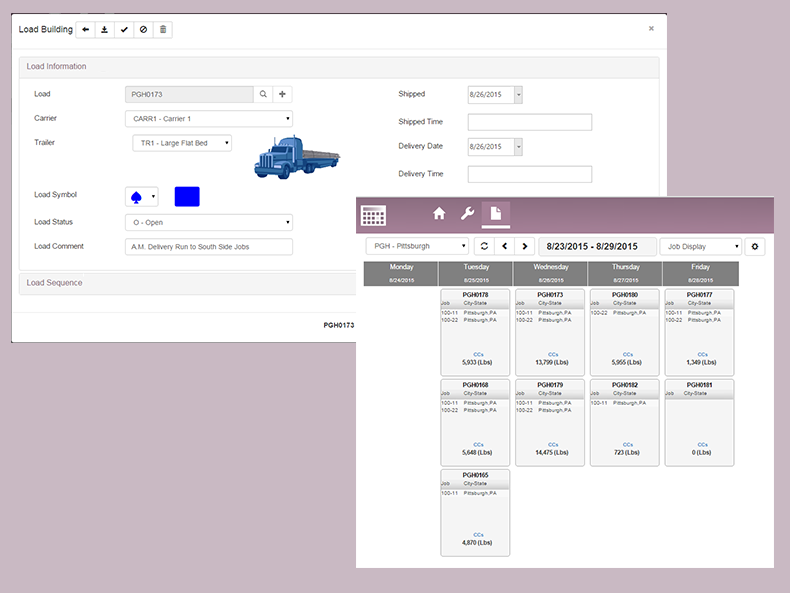 Designed to aid production managers and project coordinators, aSa Scheduling integrates with other aSa modules to help you easily assign fabrication date, delivery date, and shipping trailer for each order that you produce. The system’s easy-to-use interface lets you drag and drop orders onto the desired dates. 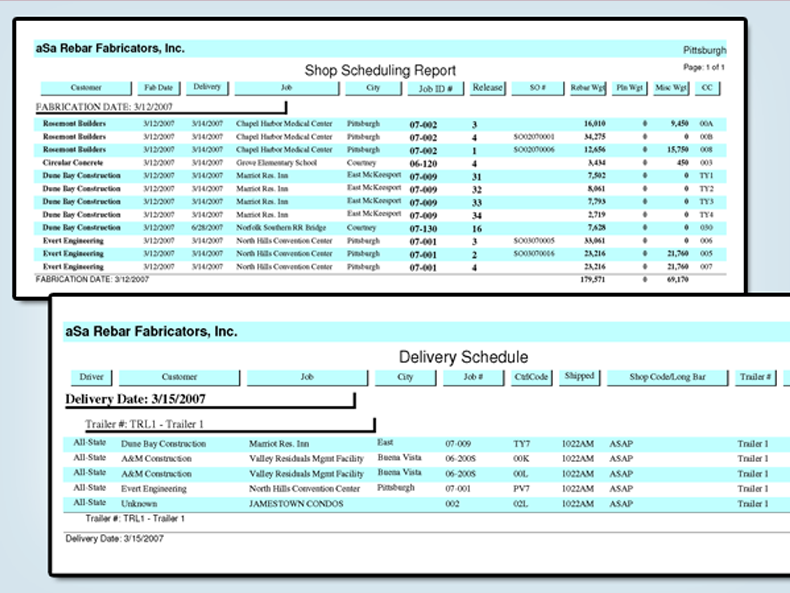 Advanced reports give your shop crew clear plans for each day’s fabrication. aSa Scheduling is great for communicating. It helps us to plan ahead, so that we can get the good numbers from optimization; to get the yield we want. Scroll through the screens below to explore just a few of the many benefits of aSa Scheduling. Drag and drop to assign equipment and trailers. Easily plan and organize your deliveries. Reports you can count on. Clear, concise reports provide an overview of each day’s fabrication and delivery.